The collaboration with Manson, Cervenka and Doe exhibit an indescribably beautiful element, which capture the essence of a mysterious story that unravels throughout the song. It seems time stands still with the talent of Garbage and X as well. After all, it was just over 25 years ago when Garbage captured our hearts with hits like, “Stupid Girl” and “Only Happy When It Rains” and now this new song, “Destroying Angels” as well as a David Bowie cover song, performed by Manson titled, “Starman” which is equally soft and beautiful. Manson kills it on this cover. Garbage started back in 1993 when they formed in Wisconsin. Their debut album sold over four million copies, acheiving double platinum certification in the UK, US and Australia. Their successful singles from 1995 to 1996, including “Stupid Girl” and “Only Happy When It Rains” and album, Version 2.0, released in 1998 topped the UK Albums Chart and received two Grammy Award nominations. Garbage followed this up by performing and co-producing the theme song to the nineteenth James Bond film The World Is Not Enough. 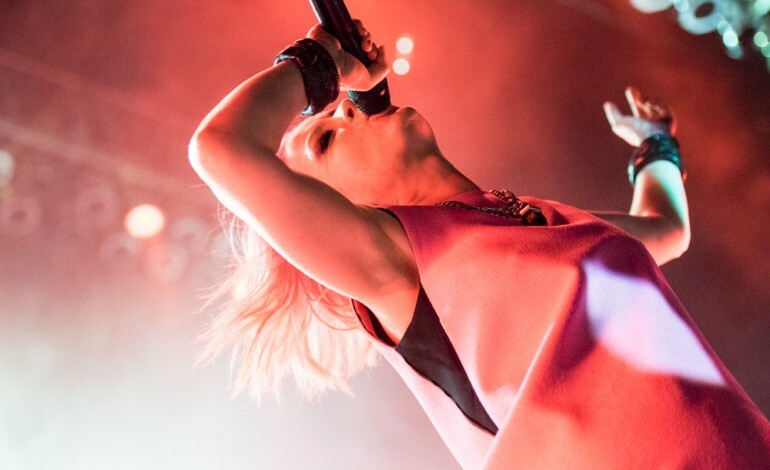 Back in October 2018, Garbage performed “20 Years Paranoid” at the Kings Theatre in Brooklyn, New York. It was a show that charted the band’s successful album Version 2.0 and Manson’s performance had the audience enraptured from start to finish. The set included all the songs from Version 2.0 while also peppering it with more obscure songs from the band’s discography. John Doe and Exene Cervenka from X started making punk music back in 1977 and have released seven studio albums from 1980 to 1993. X’s first two studio albums, Los Angeles and Wild Gift, were ranked by Rolling Stone as among the 500 greatest albums of all time. Los Angeles was ranked 91st on Pitchfork’s Top 100 Albums of the 1980’s. The band received an Official Certificate of Recognition from the City of Los Angeles in acknowledgment of its contribution to Los Angeles music and culture.